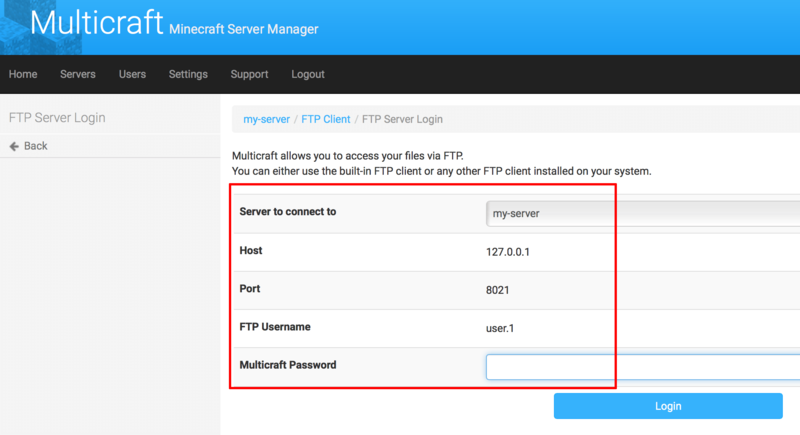 Multicraft includes a built-in FTP server, so you don’t need to allow remote FTP connections and worry about security. 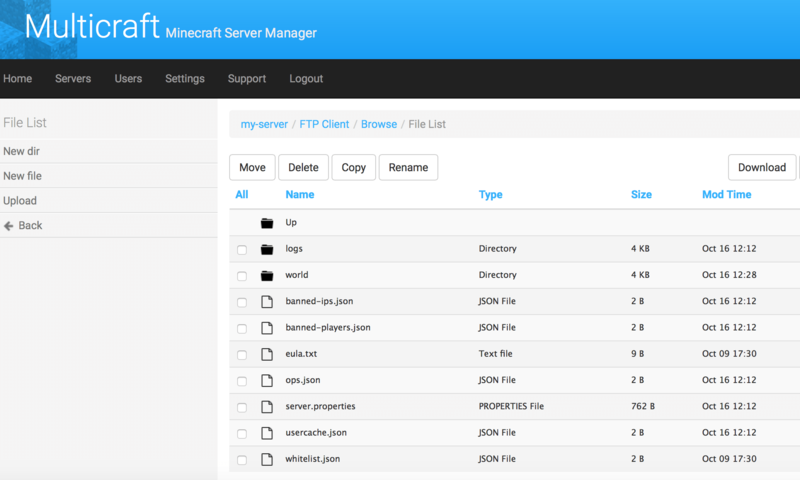 The FTP server allows you to access the Minecraft server’s files and manage them, including backing them up. Select the “Servers” menu item and then select the server you wish to access. On the server detail page, select the “Advanced -> Users” menu item. Grant “full” access to the user account(s) you wish to use for FTP. Log in to the application as a user with full FTP access. 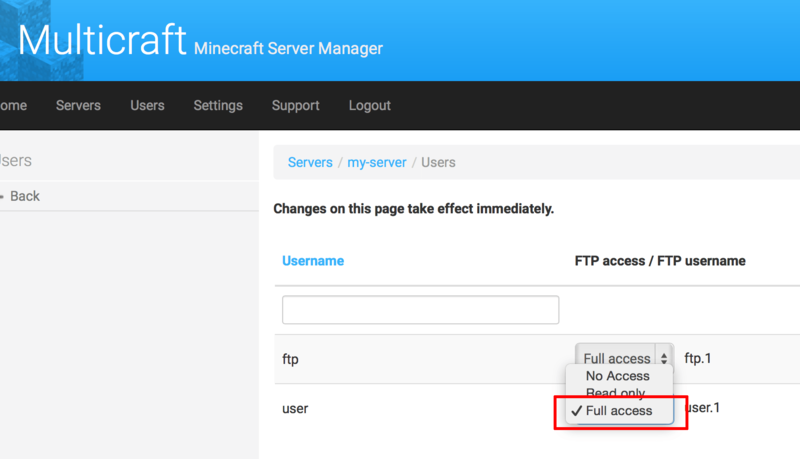 On the server detail page, select the “Files -> FTP File Access” menu item. Enter the credentials for the user account to gain FTP access. Open the /opt/bitnami/apps/multicraft/multicraft.conf configuration file. Look for the ftp section. Change the ftpIp value to 0.0.0.0 and the ftpExternalIP value to your server’s IP address. Port: The port for your server. By default, this is port 8021 on cloud deployments, virtual machines and non-privileged/non-root Unix native installations, and port 21 on Windows native installations and other Unix installations. Username: The FTP username, as listed in the “Advanced -> Users” screen. Note that the FTP username may not be the same as the login username. Password: The password corresponding to the FTP user name.